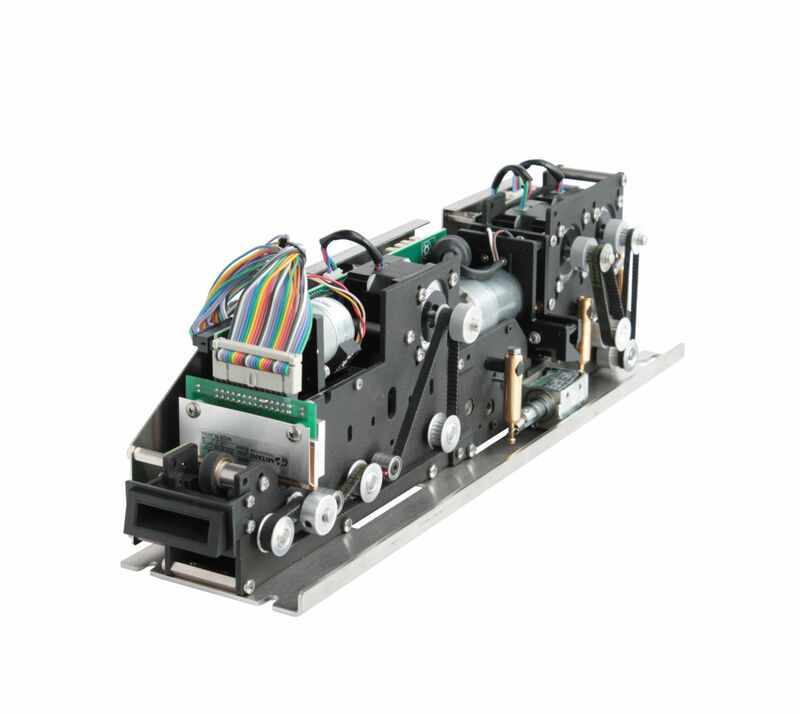 The EDMO TPH 2R module is a fast issuing machine specifically designed to issue magnetic tickets in Edmondson format. It features a 6.5 mm LoCo/HiCo magnetic head in central position, a 203 dpi full graphics thermal printer or a 203 dpi 64 dots thermal printer and a dual feeder that can swallow tickets (it is also possible to add a magnetic stripe perforator). To further reduce the issuing time, as an alternative to a single central magnetic head, it is possible to install a double magnetic head group to encode and verify the ticket in a single run. The ticket can be issued from the front opening or it can be dropped in the coin tray. A two-roll holder with paper sensors is optionally available and can be installed.